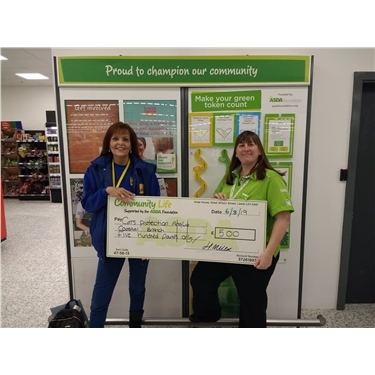 We would like to say a VERY BIG THANK YOU to Asda, Great Yarmouth and everyone who took the time to collect the green tokens for our branch. Joanne Batley our head of fundraising has just been and collected a cheque for £500, we WON by miles!. Asda said its the most tokens they've ever collected. We could not of done it without all of our wonderful supporters, so again THANK YOU, means a lot to us here at the Anglia Coastal Branch, and the cats too they think its absolutely puRRfect!